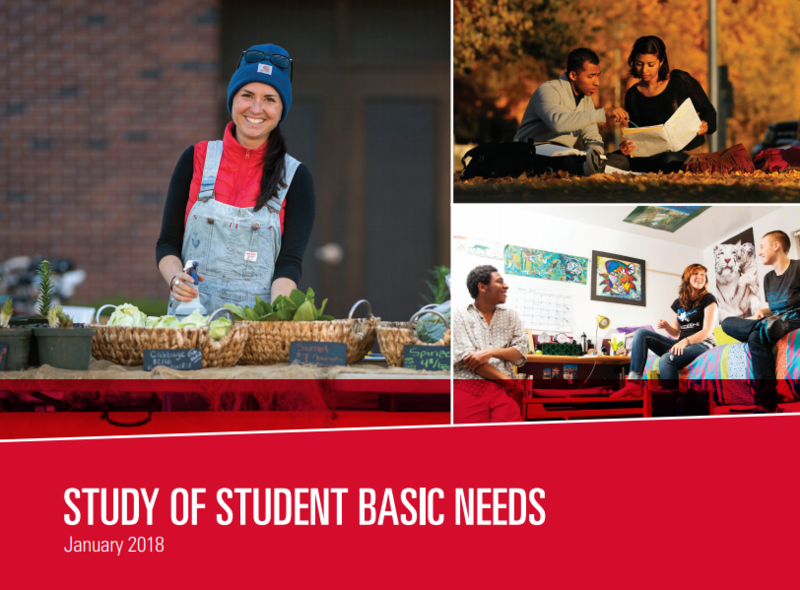 Published in February 2018, CSU’s Study of Student Basic Needs is the most comprehensive mixed-methods study of university students’ unmet basic needs and the relationship to student success ever completed within a 4-year higher education system. The study found that 41.6% of CSU students reported food insecurity, and 10.9% of CSU students reported experiencing homelessness one or more times in the last 12 months. Findings from this study are groundbreaking and provide not only the prevalence of university student homelessness and food insecurity, but living examples from students about what they surmount in order to succeed at their dreams of earning a higher education degree. Students who reported food insecurity, homelessness, or both also experienced physical and mental health consequences that were associated with lower academic achievement. They also reported higher rates of “inactive days,” where poor physical or mental health kept them from their usual activities such as school, work, self-care, and recreational activities. 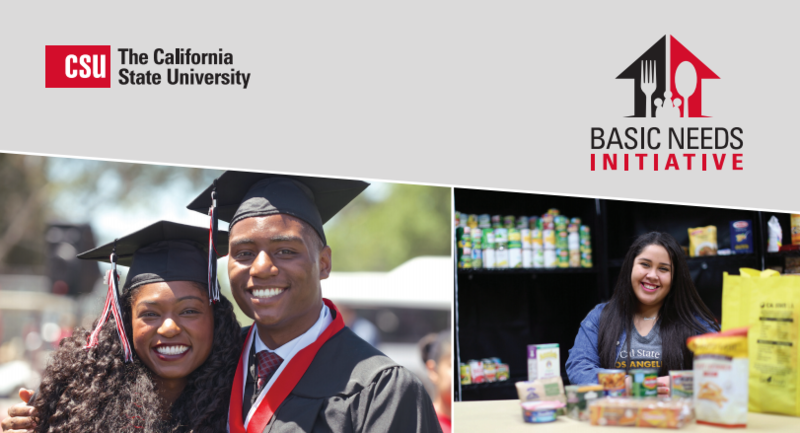 Report on CSU Actions to Support Students Facing Food and Housing Insecurity: All 23 CSU campuses have taken a number of actions to address students’ basic needs, particularly food and housing. This report highlights these specific actions.